Here is a cheap way to take super close-up photos using nothing more than a 5mega pixel digital camera (set to close-up) with some cheap magnifying eye loupes. 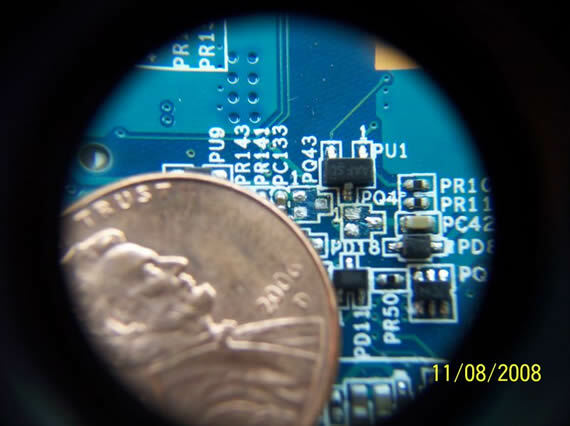 The first photo below is a super close-up photo using two loupes. The next photo is the stacked loupes which gave me this very nice zoom feature. The loupes cost $1 dollar each at Harbor Fright. Continue reading to learn more and what sparked this simple yet successful idea. You are currently browsing the ToddFun.com blog archives for November, 2008.